“Parker has admitted that the sequel hook was an homage to the ending of the original 'Back To The Future,' and, in the same way, was not a serious indication of a potential sequel. If the film was successful enough to merit one, they would have gone from there." "We did heavily discuss the world of the film, from its backstory to the character's motivations. Parker also provided a general direction for what he would have wanted to happen to these characters and what consequences from the first film would become major themes of the sequel. At that point he sort of ‘passed the torch’ to us, although he does occasionally provide additional direction." 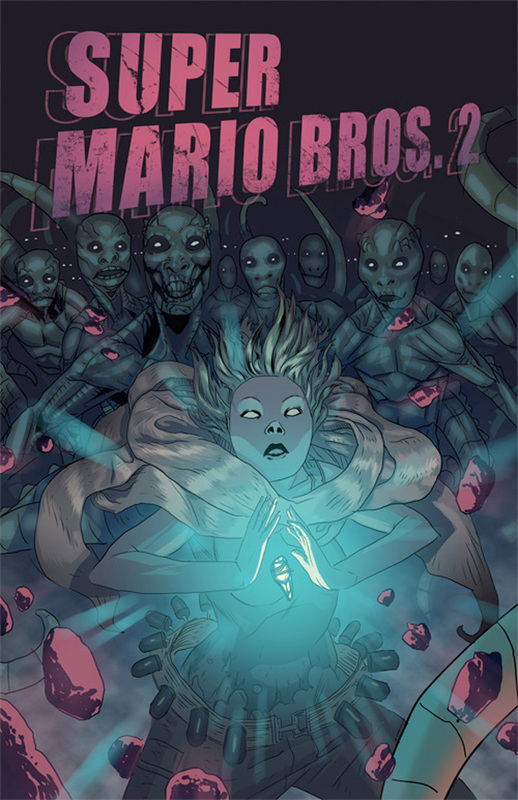 So not only is there a Super Mario Bros. 2, but there's a third story planned as well. This sequel in progress includes some familiar elements including a robot companion that should look familiar to Super Mario fans. Eryk Donovan and Jaymes Reed also contribute to the online comic which comes at the perfect time since the Super Mario Bros. film is officially 20 years old this year. Applebaum says, "Super Mario Bros. provided a look into a world too rich and too original to not explore again. We knew that the original had its fans and felt that if we brought the Mario Bros. back to Dinohattan there would be an audience for that story.” Check out the comic book sequel so far right here and keeping checking for more. ok....so what does this have to do with Back to the Future? Where does the article state that it's focus has to do with Back to the Future? I always liked the girl that played the princess in the movie she was hot and to this day she hasn't aged much at all she is still incredibly cute and if anyone is interested she's on this show called "Under The Dome" check it out it's a pretty good show adapted by the book from Stephen King.